You can access to template manager with the top menu : "Extensions --> Template Manager --> joomspirit_110 "
With "joomspirit_110" template, you can set a lot of parameters. All the details here. 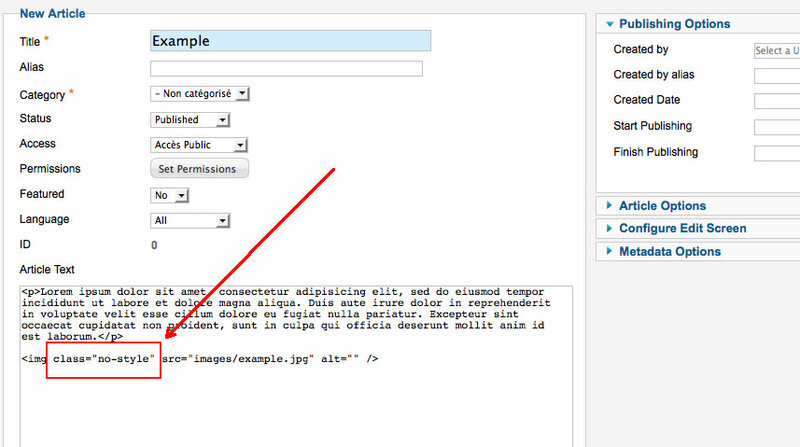 Example for the "Copyright" position : go to the module manager and create a new module with the option "custom html". Write your address or/and copyright and choose the position "copyright". 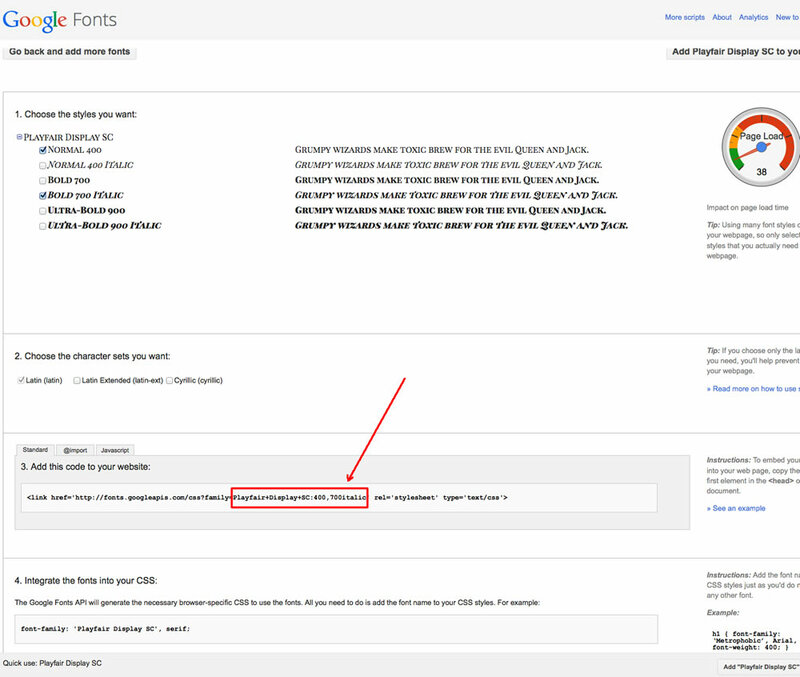 To change the site name, go to the template manager and write your text (section "Logo and Main menu"). To insert your logo, you must create a new module (option "custom html"), insert your logo inside (with the wysiwyg editor). Choose the position "logo" and publish it. The size of your logo is free. With the module class suffix " no-margin" : it's a useful option to remove the margin around the module position . You can use it to display an image in a Custom HTML module. Note : If you choose a background color , the color of module title is always white. Note : You can enter several Module class suffix. Example "shadow green badge-top title-centered"
I published the slideshow module (see next section) with the module position "image". You can change the bordr around thee slideshow in template manager (section "slideshow"). I created and published a single article. In Template manager, go to the section "Left column" and add your address, phone, email and / or fax. In the section "header and social icons", you can add the url of your social icons. How to display the slideshow of the demo ? You can download this responsive slideshow on my website. choose the position : "image"
Tips : I recommend you to read the page "How to use" in the slideshow demo. On my demo, I publish the slideshow only on the Home page. 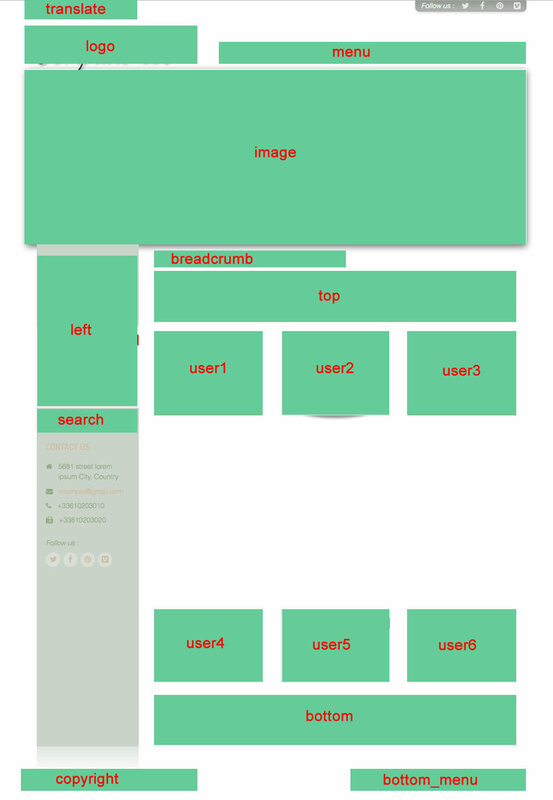 On others page, I displayed only an image : I create a new module with the type Custom HTML. I choose the position "image" and insert my image with the wysiwyg editor. Of course, I choose "all pages except Home page" in Menu assignment. Tip : don't forget the option "Menu assignement"
In the template manager, you can choose the width for user1 and user3. The width of user2 automatically adjusts. So, if you publish only one user module : publish user2 (for a width of 100%). If you publish two users module : publish user1 and user2, or user2 and user3. You can put all your custom code in the file "css/custom.css".